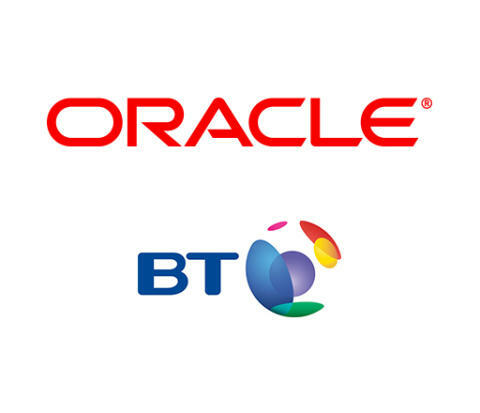 BT and Oracle today announced that they are working together to help organisations across the world take advantage of performance, cost and innovation benefits of the cloud. Oracle customers will be able to leverage the high performance, reliability, and security features of the BT Cloud Connect environment to gain direct connectivity to the Oracle Cloud. While organisations understand the promise and many benefits of the cloud, many are concerned about security and performance issues associated with cloud technologies. This is especially true for business-critical enterprise workloads that frequently demand high levels of availability, security and performance. Together, BT and Oracle are aiming to remove those barriers to cloud adoption by providing options for connectivity from hybrid enterprise data centres to the Oracle Cloud. With BT Cloud Connect for Oracle FastConnect, customers can use a private connection based on BT’s IP Connect VPN service, which is designed to predictably, securely and consistently exchange large volumes of data between the Oracle Cloud and their own on-premises environment. BT will connect directly to Oracle’s Cloud locations in Amsterdam and London, giving customers access from anywhere in the world to services provided in European data centres. Through pre-provisioning via BT Cloud Connect, BT can cut the typical dedicated connection deployment time from months to days. The Oracle Cloud is used by many of the world’s largest organisations. It supports 70 million users and more than 34 billion transactions each day and runs in 19 data centres around the world. With the Oracle Cloud, customers can take advantage of the broadest and most integrated public cloud portfolio across all layers of the IT stack, while also having the choice to bring the Oracle Cloud into their own data centres via the recently announced ‘Oracle Cloud at Customer’ offering. Oracle FastConnect is part of Oracle IaaS, and intended to enable organisations to quickly meet IT and business goals by leveraging a set of core capabilities such as elastic computing, networking and storage. 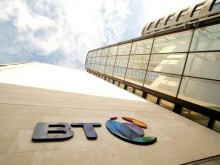 This news builds on BT’s Cloud of Clouds portfolio strategy by allowing its multinational customers to connect to the cloud through a centrally managed high-speed network with highly predictable performance, reliability and embedded security features. BT and Oracle aim to offer the service in the final quarter of calendar year 2016. Oracle offers a comprehensive and fully integrated stack of cloud applications and platform services. For more information about Oracle (NYSE:ORCL), visit www.oracle.com. BT’s purpose is to use the power of communications to make a better world. It is one of the world’s leading providers of communications services and solutions, serving customers in 180 countries. Its principal activities include the provision of networked IT services globally; local, national and international telecommunications services to its customers for use at home, at work and on the move; broadband, TV and internet products and services; and converged fixed-mobile products and services. BT consists of six customer-facing lines of business: Global Services, Business and Public Sector, Consumer, EE, Wholesale and Ventures, and Openreach. For the year ended 31 March 2016, BT Group’s reported revenue was £19,042m with reported profit before taxation of £3,029m.